Back in 2016, and just before the airing of Season 6, students of the same course created an algorithm that accurately predicted Jon Snow's resurrection. 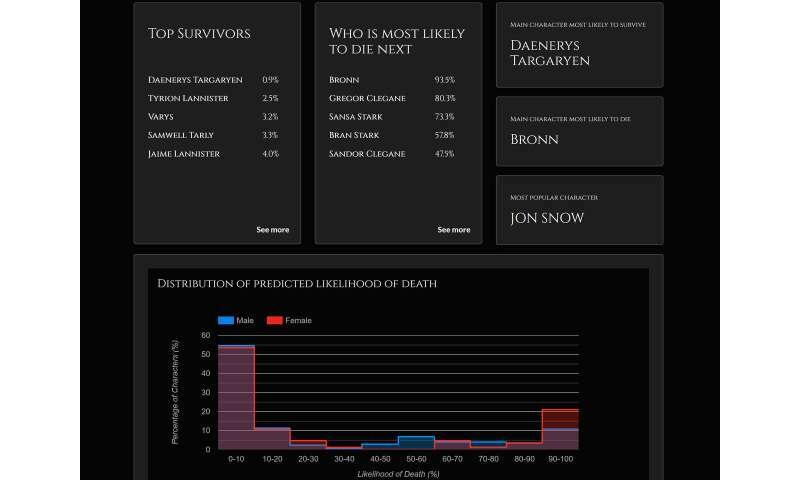 The algorithms developed now by the students predicts that Daenerys Targaryen has the highest chance (99 percent) of surviving the harrowing GoT world. Her Hand of the King, Tyrion Lannister, also has a promising 97 percent survival rate. Survival rates are predicted using longevity analysis—a technique similar to scientific studies that examine the effects of treatments and complications on cancer patients. 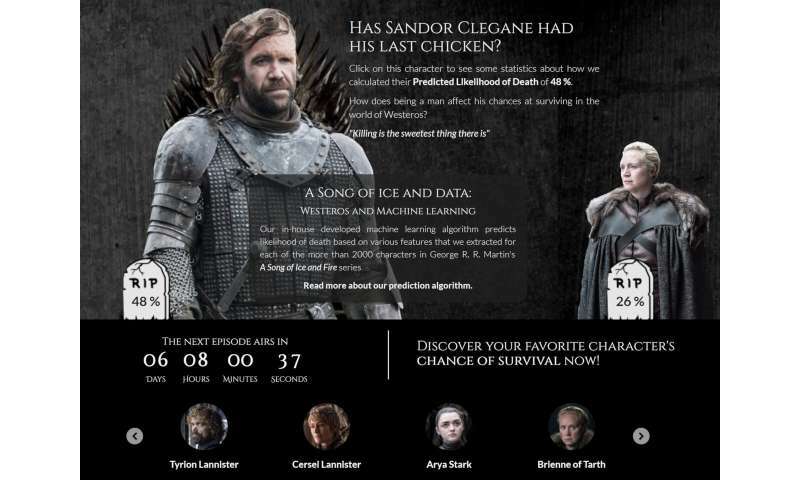 The full list of characters and their survival chances are available online at https://got.show. Savvy GoT fans can get an in-depth look into the main reasons for the algorithm's predictions. For instance, being born in Winterfell to the House of Stark as well as only being married once seems to increase the chances of Sansa Stark to be eliminated in the upcoming season; her predicted likelihood of death is 73 percent. Lead mentor of the class, Dr. 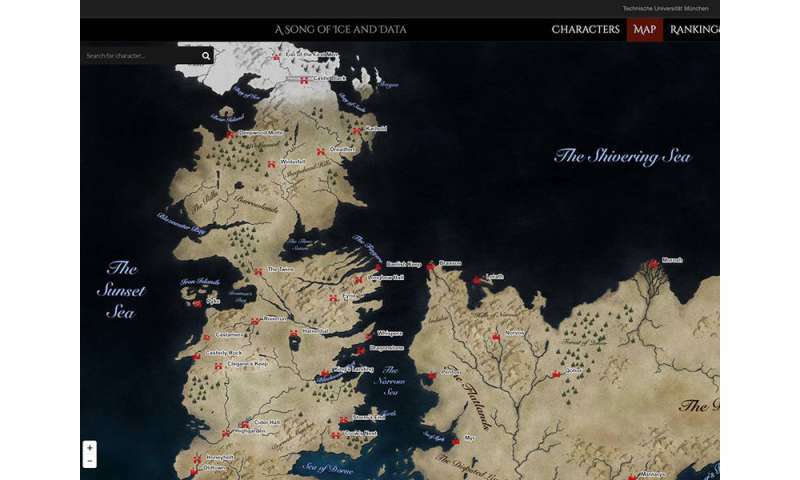 Guy Yachdav, says, "While the task of predicting survival chances for Game of Thrones characters relies on data taken from the world of fantasy, the exact same artificial intelligence techniques are used in the real world and are having a powerful impact on our everyday lives." Professor Burkhard Rost, heading the Chair for Bioinformatics at TUM's Informatics faculty, says, "The combination of passion and teaching is a brilliant way to create new tools that matter. In our course at TUM we found a fun way to teach students how to use this technology and prepare them to build the next big thing once they graduate." This is what society needs.... using science and technology to pull humanity upwards. Imagine how many lives were improved by this "research". Done in Germany!! !